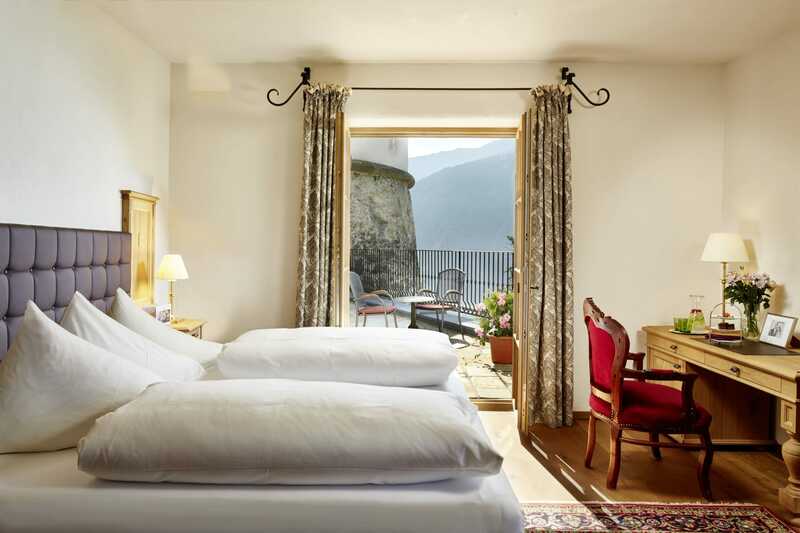 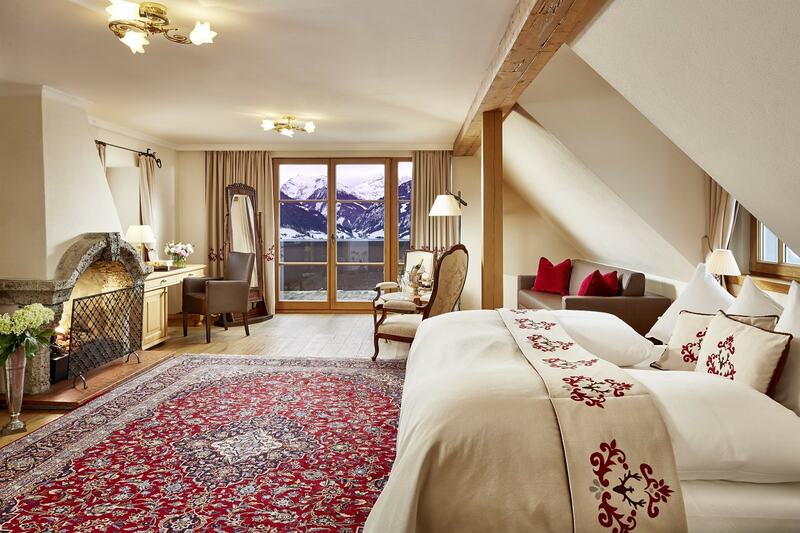 Hotel Schloss Mittersill reflects the perfect symbiosis of tradition and modernity. 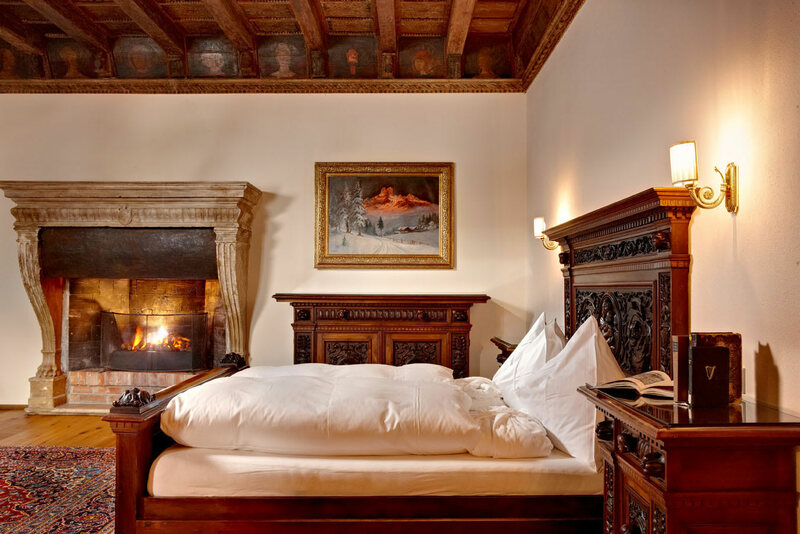 Even today, the splendour of bygone times can be sensed in our rooms and suites: elegant parquet floors, precious antique furniture and paintings accentuate the grandeur of the historic walls, and are combined with modern elements. 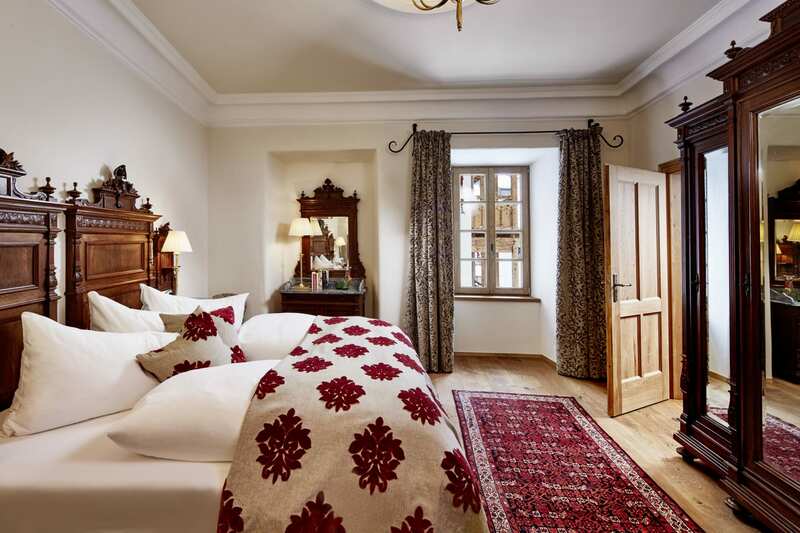 The charming attention to detail extends through each of the 53 castle rooms with their warm red, brown, and cream tones. 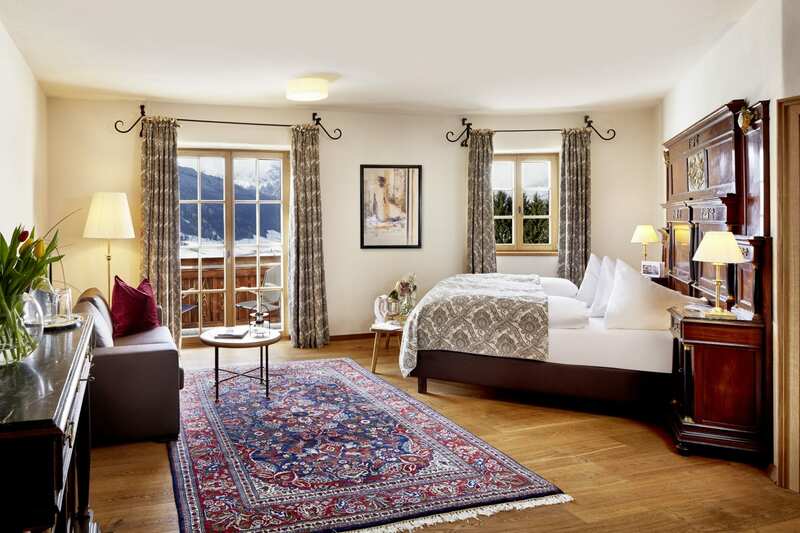 Different woods and high-quality carpets characterize the royal design. 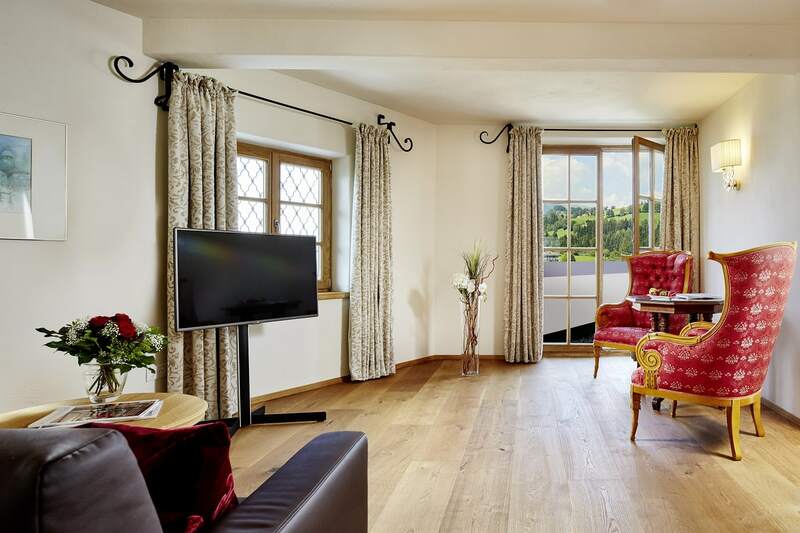 Many nobles, celebrities and Hollywood stars, such as Coco Chanel and Queen Juliana, have resided in the castle and have become the namesakes of our suites. 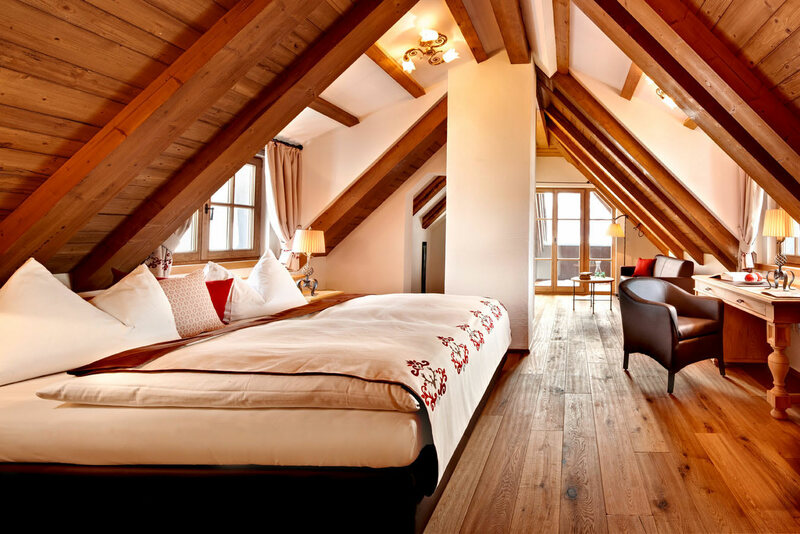 We will personally attend to all room and vacation inquiries, and look forward to your reservations. 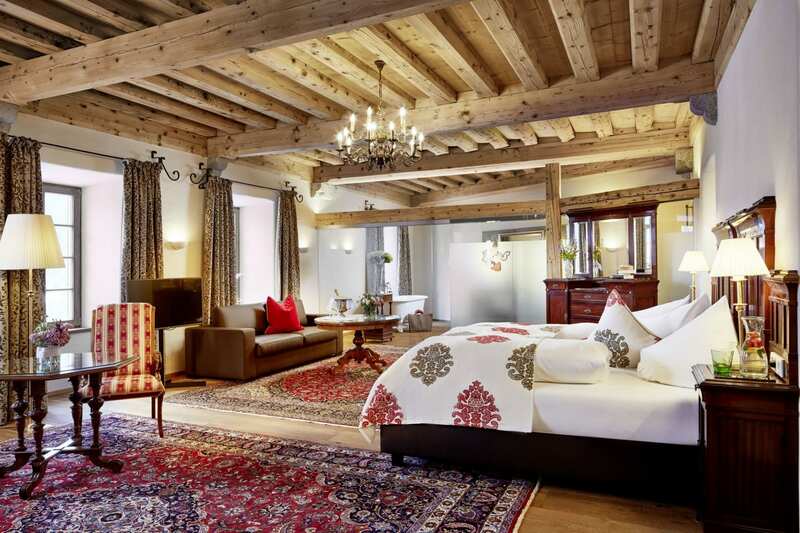 The 43 castle rooms of different categories are furnished in historical or modern styles. 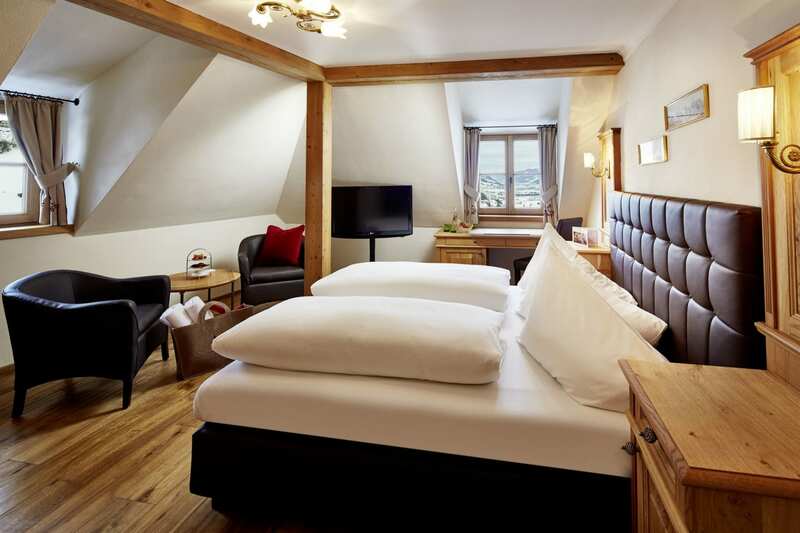 The rooms are 20-35 m² in size and some rooms can be joined together with adjoining suites to create a spacious family suite. 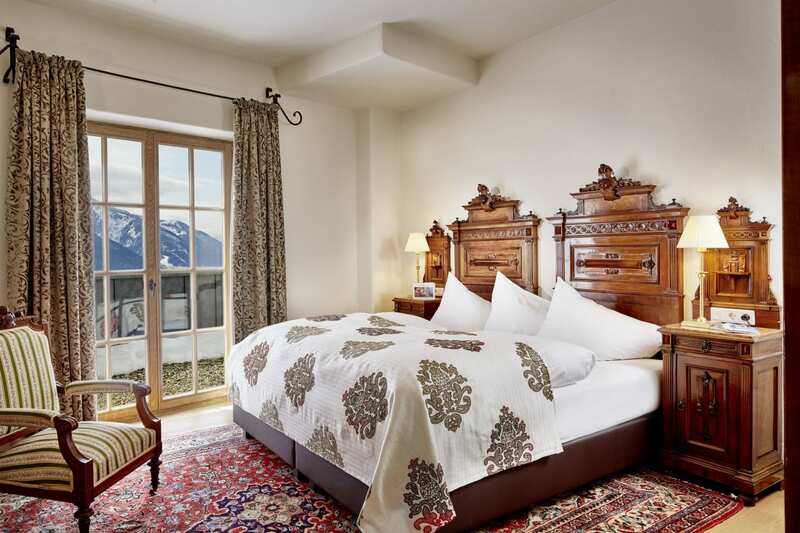 Each room will give you access to enjoy the breathtaking and unique panoramic view of the surrounding mountains. 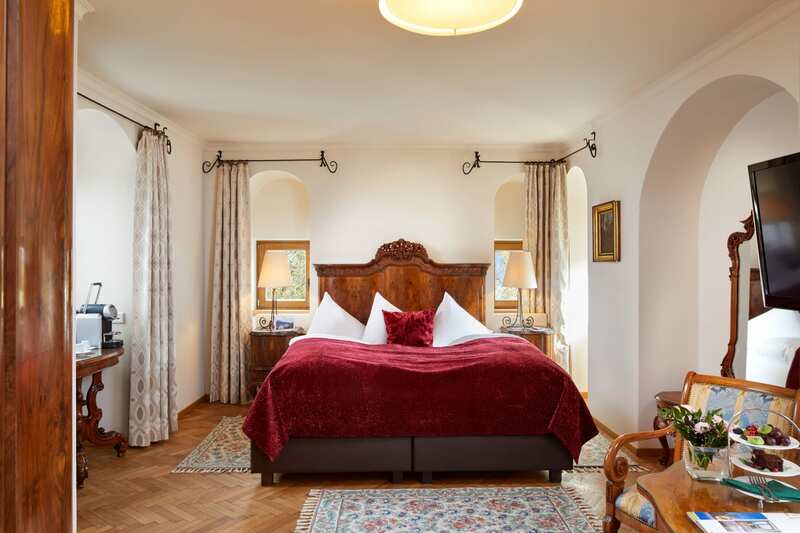 The extra-long, high-quality box spring beds, the wood with warm undertones, and fine fabrics in pleasant colors display an exclusive and noble way of living that you would expect of a castle hotel. 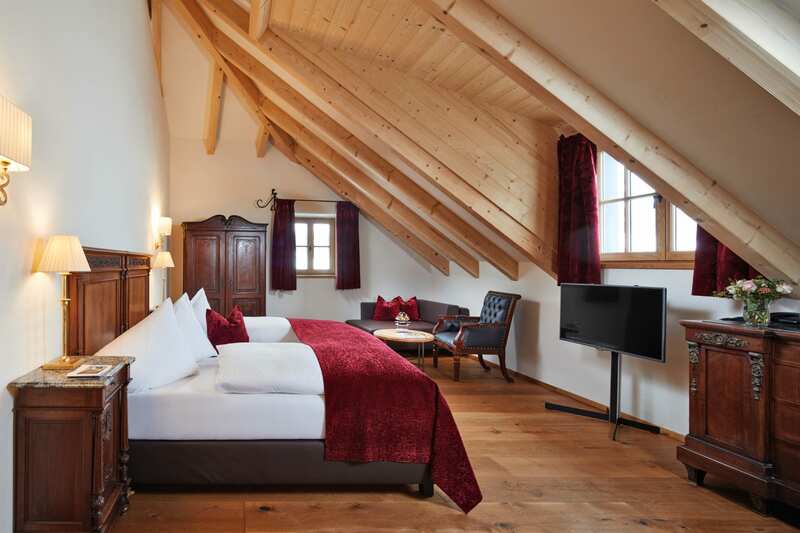 There are a total of ten suites to choose from for your overnight stay in the castle. 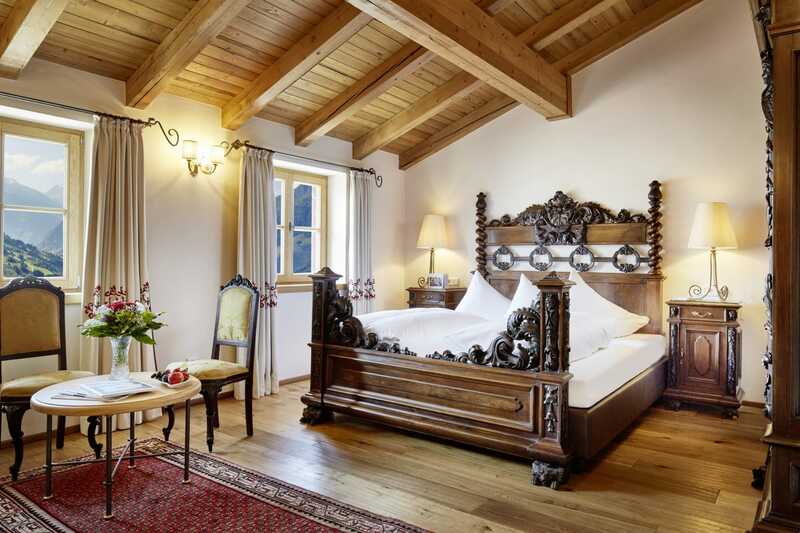 The stylish and elegantly designed castle suites are 40-60 m² in size. 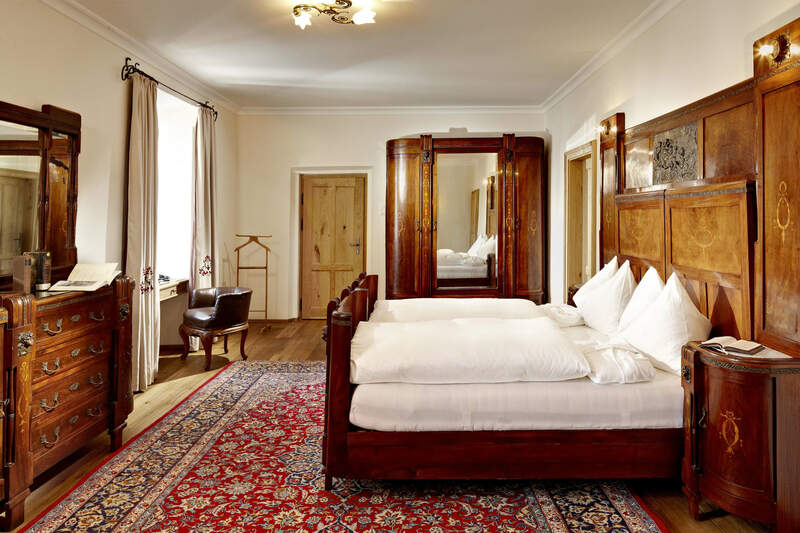 They bear the names of celebrities and Hollywood stars who were frequent guests at Schloss Mittersill. 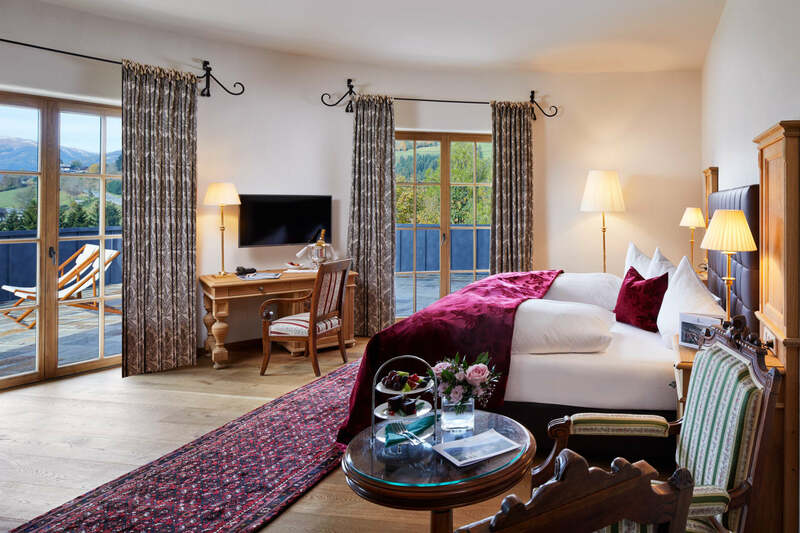 Enjoy the exclusive suite extras such as extra-long box spring beds, DVDs and books providing information on your suite's namesake, a Nespresso coffee / tea machine, and many other surprises.